After two straight excellent starts, the Blackhawks will send Corey Crawford out on consecutive days for the first time on Saturday night in Los Angeles. 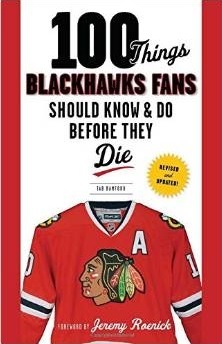 Does that mean Marty Turco’s in trouble in Chicago? The fact that Friday’s game was a 1 PM matinee in Anaheim makes it easier for coach Joel Quenneville to come back the next night with the youngster, but the back-to-back starts at least indicates that he has noticed the strong play of Crawford lately. 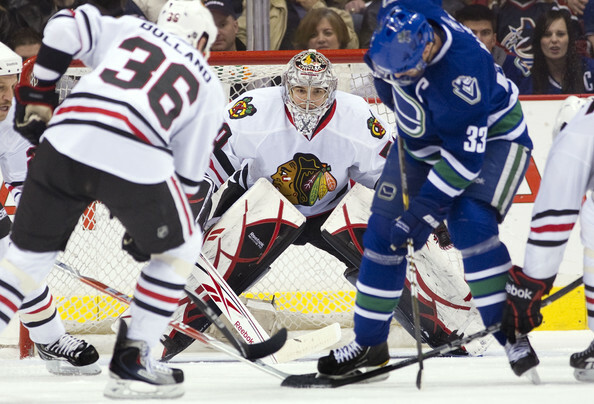 In his last four starts, Crawford is 3-1 but has earned four wins (the 2-1 loss to Edmonton was hardly his fault). In those four games, Crawford has a .944 save percentage (6 goals against on 107 shots). Those numbers are as good as anyone in the league over the stretch, and the organization knows it. “It shows we think he can be a top goalie in our league,” said Quenneville after Saturday’s practice in LA. For the season, Crawford now boasts a 2.21 goals against average and .922 save percentage. Turco’s numbers haven’t been impressive lately. The Blackhawks have lost four of his last six starts, and he has allowed at least three goals in four of those six games as well (the Hawks won 5-4 in Atlanta). His save percentage is still a relatively respectable .904, but his goals against average has ballooned to 2.90 after a string of blowout losses. After dealing with a goalie controversy last year, Quenneville knows the importance of being flexible with his depth chart. It took until mid-March for Antti Niemi to formally take the top goalie spot away from Cristobal Huet, but there were significant financial considerations that played a role in last year’s decision. This year, both Crawford and Turco are on one-year deals, and the Hawks have been hoping Crawford would matriculate his way to the starting role for the better part of the last decade. It might not be now, but Crawford may become the top goalie in Chicago soon. Saturday night will go a long way in determining his role now, and in the future, with the Blackhawks.